Bowman, George, Scheb, Kimbrough, Koach & Chapman, P.A. 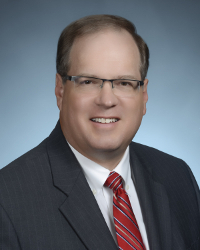 - Attorneys at Law | David G. Bowman, JR.
David Bowman, Jr. practices in the areas of real estate, corporate, estate planning and administration. Receiving both his undergraduate, with honors, and law degrees from the University of Florida, he was admitted to the Florida Bar in 1989 and is a Board Certified real estate lawyer. Mr. Bowman, Jr. served as a Director and President of the Sarasota County Bar Association’s Young Lawyers Division. Mr. Bowman, Jr., an eighth generation Floridian, is a member of the First United Methodist Church and has served as President of its Early Care Center and Secretary of its Staff and Parish Counsel. His community activities include membership in the Rotary Club of Sarasota, serving as Secretary of its foundation. He is a Past Director and Vice President of the New College Library Association and Treasurer of the Southside School Foundation.